I've always been a big fan of beauty boxes, but since I'm not a huge makeup user, I never saw the need to spend $50+ a month for products I most likely wouldn't use. So when I stumbled upon FabFitFun, a beauty, health, wellness and fashion seasonal box, I knew I had to have it! The idea is to make you feel good from the inside out with products of these four categories, rather than just beauty items. Plus, the products aren't always a tiny sample size like other ones. 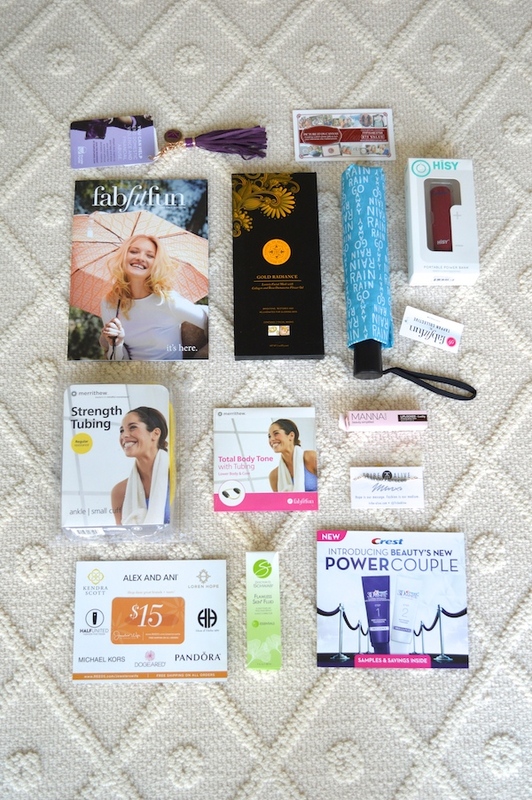 Every 3 months, you receive a seasonal gift box hand-picked by the FabFitFun team (and I must say, they have an awesome range from water bottles to lip glosses to jump ropes to portable phone chargers). Here are all of the products in the Fall 2015 box. It wasn't officially released yet so I don't have the exact links yet. Stay tuned for that when it comes out soon! The Hisy portable power bank ($25) // I've been needing one of these forever and can't wait to use it! Crest White Strips // I wanted to try these but didn't know where to start - plus it comes with coupons! I still can't believe believe you get all of these things for $49.99 per month, when just the umbrella and power bank are over $50 themselves! Even though I was sent this box c/o FabFitFun, I genuinely love the concept and would highly recommend it. Not to mention, a giant, pretty box showing up at your door every few months is like Christmas! If you're wanting to subscribe for yourself, use the code "citrus" for $10 off your first box at fabfitfun.com! 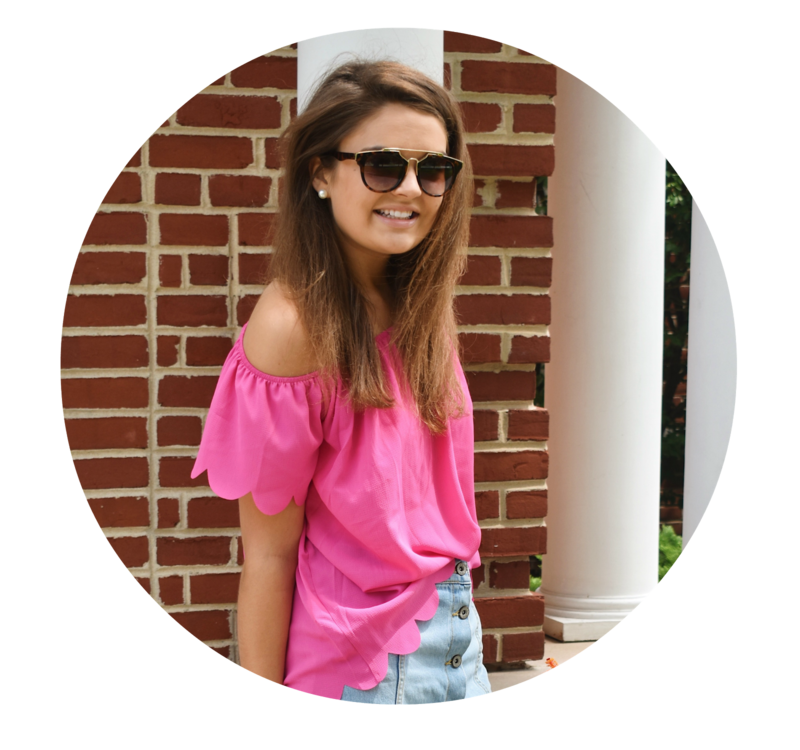 Have you heard of FabFitFun before?